This post is sponsored by Land O’ Lakes, but the content and opinions expressed here are my own. Are you following a ketogenic or low carb diet? Do you love chocolate strawberry panna cotta? 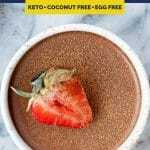 Then check out my sugar-free keto chocolate strawberry panna cotta that will surely become your new favorite low carb dessert recipe! What’s better than panna cotta, you ask? Well, I have the answer: CHOCOLATE STRAWBERRY panna cotta! That’s right! This keto, low carb, gluten free, nut free, coconut-free, egg-free, and refined sugar-free dessert is going to be your new go-to. I GUARANTEE it! I LOVE to make this yummy dessert to have on-hand when I am craving a weekend treat, or to serve as the final touch of a dinner gathering. You are going to absolutely fall in love with this stuff. I can’t wait for you to try it! If you like panna cotta, you will LOVE this low carb version! The ketogenic diet is all about feeling your absolute best. When first transitioning to the diet, it was definitely a learning process. I wanted to be sure that I would be able to enjoy my favorite meals, so I had to teach myself a completely new style of cooking. Over time, I learned what works and what doesn’t. On the ketogenic diet, carbohydrates are limited, and the focus is transitioning your body from being fueled by glucose to being fueled by ketones, which is done by significantly lessening carb intake and increase the consumption of dietary fat. You see, the body typically uses carbs (in the form of glucose) for energy. When carb consumption is restricted and there isn’t any glucose to run off of, the body turns to fat and instead uses that as its source of energy, thereby producing ketones and putting your body into a state of ketosis. With the ketogenic diet, achieving and maintaining a state of ketosis is important if you want to reap the amazing benefits of this way of eating. Luckily though, it is still VERY possible to enjoy our favorite yummy foods when adopting a ketogenic lifestyle. 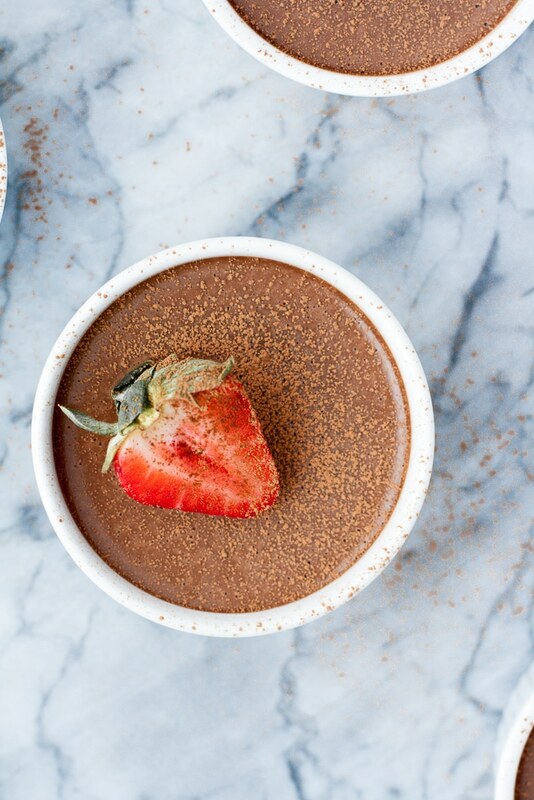 This chocolate and strawberry panna cotta is the PERFECT example! Loaded in flavor and VERY low in carbs, this dessert goes to show how possible it is to indulge on this way of eating! 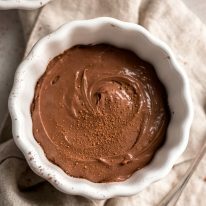 Specific ingredients have been used in this recipe in order to keep it low carb, including unsweetened cocoa powder, gelatin powder, espresso powder, strawberry extract, and Lakanto Monk Fruit Sweetener. In addition to these ingredients, the cornerstone ingredient in this recipe that creates a lucious, creamy taste and texture: Land O’Lakes Heavy Whipping Cream! One of the ingredients that makes this recipe truly divine is the use of Land O’Lakes Heavy Whipping Cream. Without it, this recipe simply wouldn’t be the same! 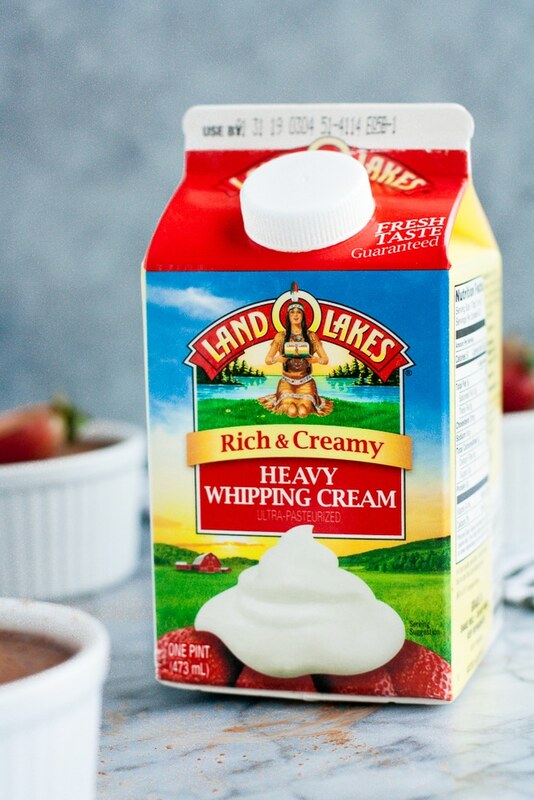 Thanks to Land O’Lakes’ delicious take on heavy whipping cream, this recipe is elevated from good to INCREDIBLE. 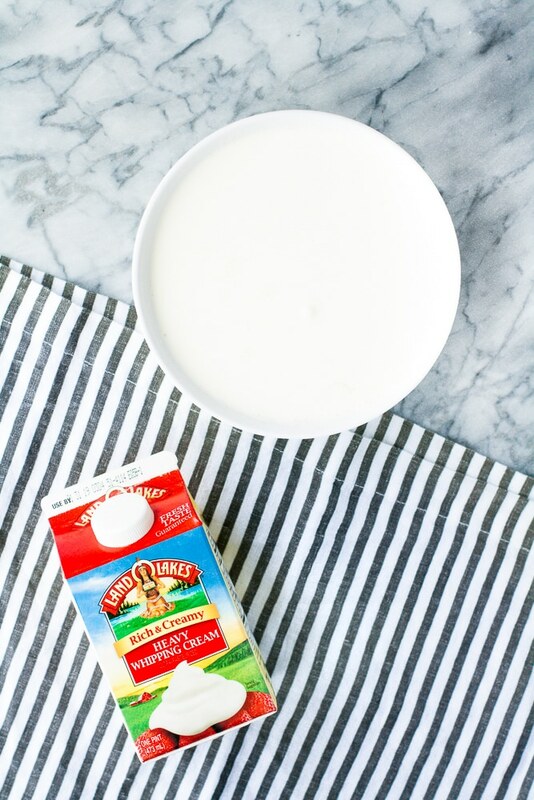 Their heavy whipping cream contains minimal ingredients and virtually no carb content whatsoever! 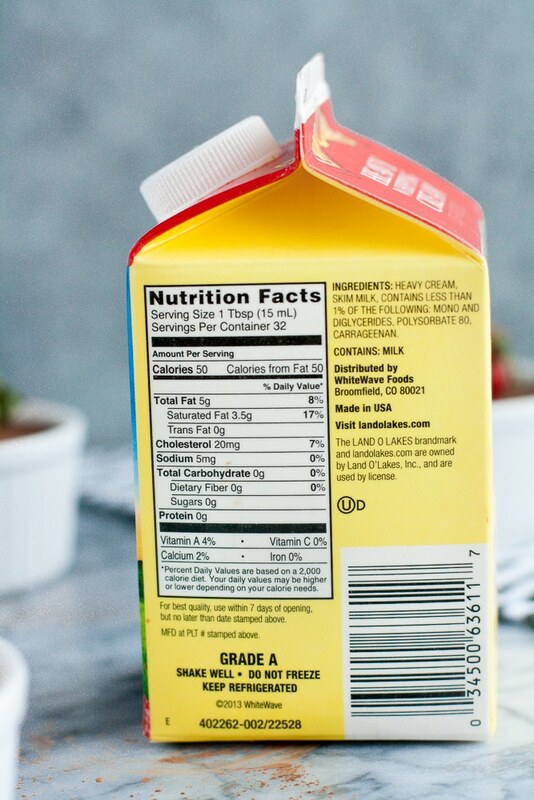 Second, as if the ingredients weren’t simple and wholesome enough, the Land O’Lakes Heavy Whipping Cream is TOTALLY low carb! It serves as a great source of satiating fat and is a perfect item to incorporate into your everyday diet! I can’t wait for you to enjoy the yummy taste of the panna cotta when incorporated with heavy whipping cream! To make the deal even sweeter, by supporting Land O’Lakes, you support the community. Land O’Lakes is a proud supporter of food banks across the country and donates dairy products to those in need each and every week. How awesome is that?! 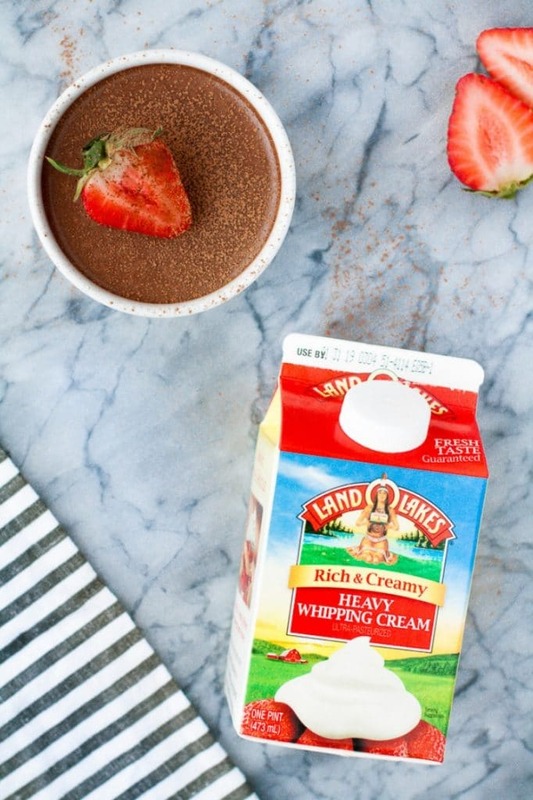 Be sure to check out Land O’Lakes website to learn more about their products, find a store locator on where to purchase, read reviews, and find more recipes using their Heavy Whipping Cream! When following the measurements below, each panna cotta recipe yields six delicious, flavorful servings that I know you are going to LOVE! This is the perfect dessert dish or weekend sweet treat. With only 25 minutes of prep and cook time required, this recipe is super quick and easy to whip up! After it is cooked, allow it to chill in the refrigerator for about four hours before enjoying. I like to make this panna cotta dessert in the morning so that it is totally chilled by the time I am ready to enjoy it! This quick panna cotta recipe is SO easy to whip up! 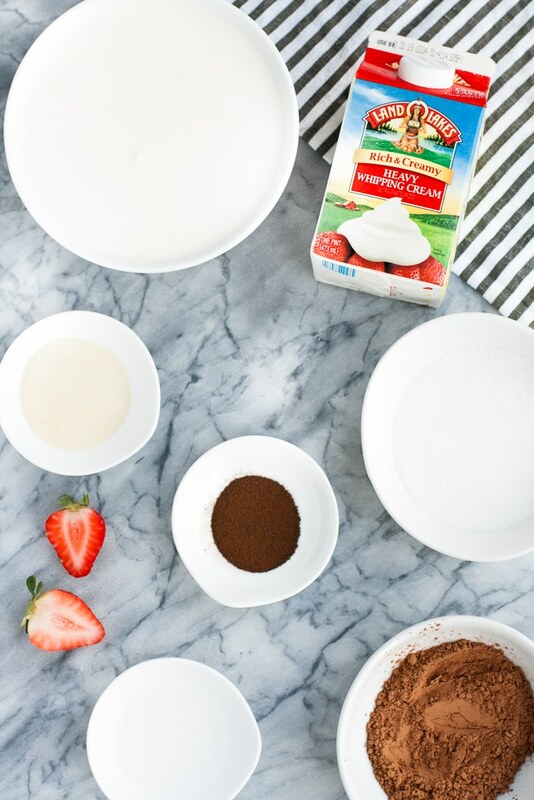 Measure and prepare the ingredients for the chocolate strawberry panna cotta. 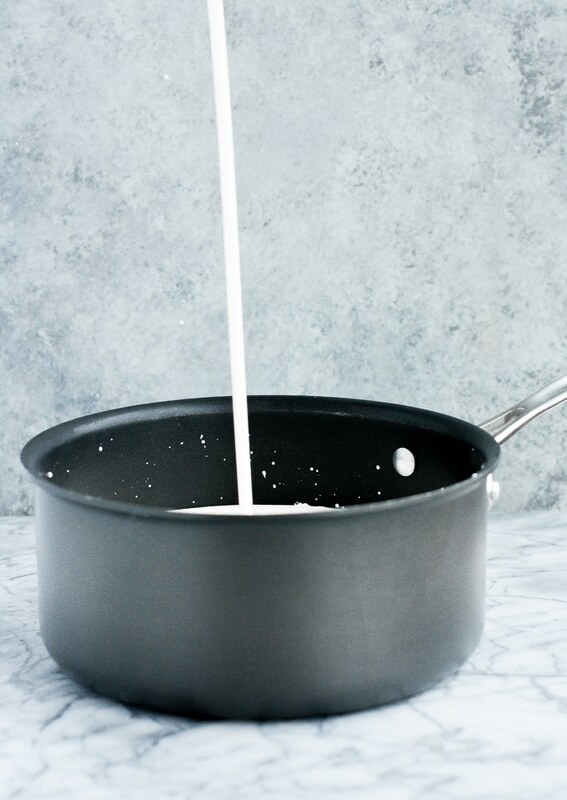 Pour Land O’Lakes Heavy Whipping Cream into a saucepan over medium heat. Add heavy cream, monk fruit sweetener, gelatin powder, and espresso powder. Heat mixture, whisking frequently, until all ingredients are thoroughly combined and have dissolved. 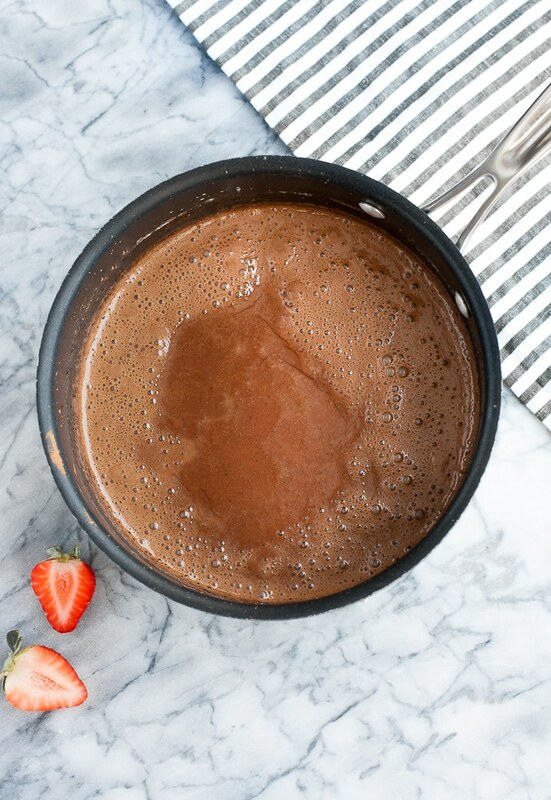 Reduce heat to medium-low, whisk in cocoa powder and strawberry extract and continue to heat mixture until all ingredients are well-combined, about an additional 2-3 minutes. Remove pan from heat and allow mixture to sit at room temperature to cool slightly for 10 minutes. Whisk mixture thoroughly before pouring mixture into ramekins. Transfer ramekins to refrigerator to chill. Serve panna cotta chilled with sprinkle of cocoa powder and halved fresh strawberry on top. This delicious panna cotta dessert features ingredients that comply with so many different lifestyles! Keto and Low Carb: Containing only 3.8 grams of net carbs per serving. This incredible panna cotta is perfect for low carb and keto diets! Gluten Free: There are no wheat, barley, rye, or other gluten-containing products used within this recipe. 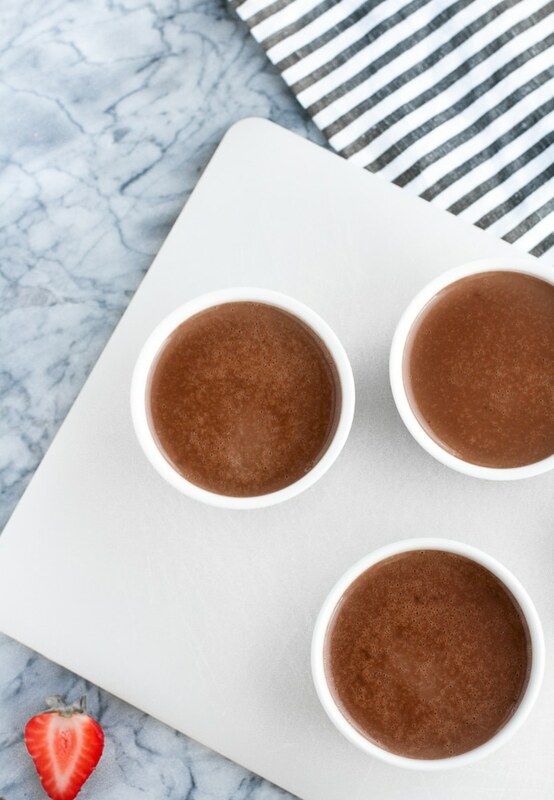 Grain Free: This panna cotta recipe does not call for any grain products. Nut Free: There are no peanuts or tree nuts used within this recipe, making it safe to consume for those with nut allergies and intolerances. 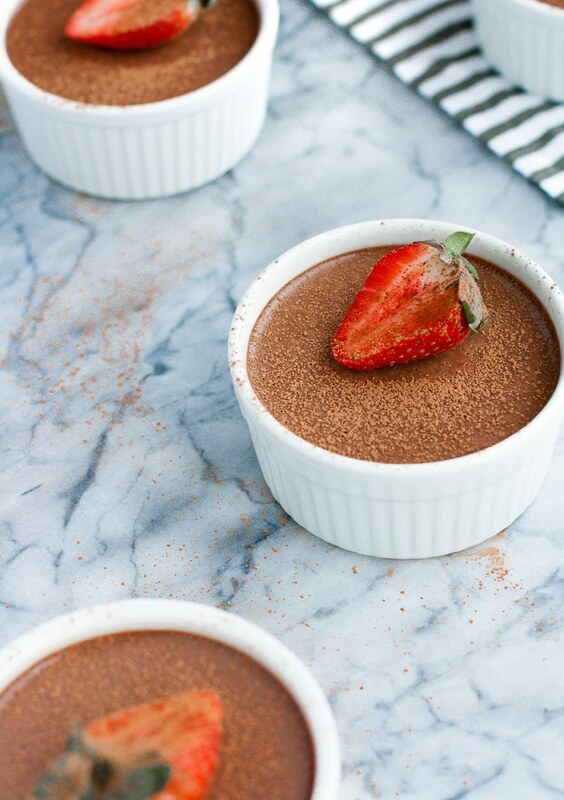 Coconut Free: Coconut is not used for this chocolate strawberry panna cotta. Egg Free: This recipe does not require the use of eggs. 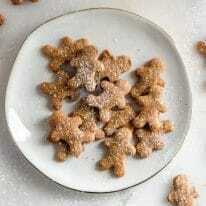 Refined Sugar Free: Completely refined sugar free, this recipe uses a net carb-free sweetener. 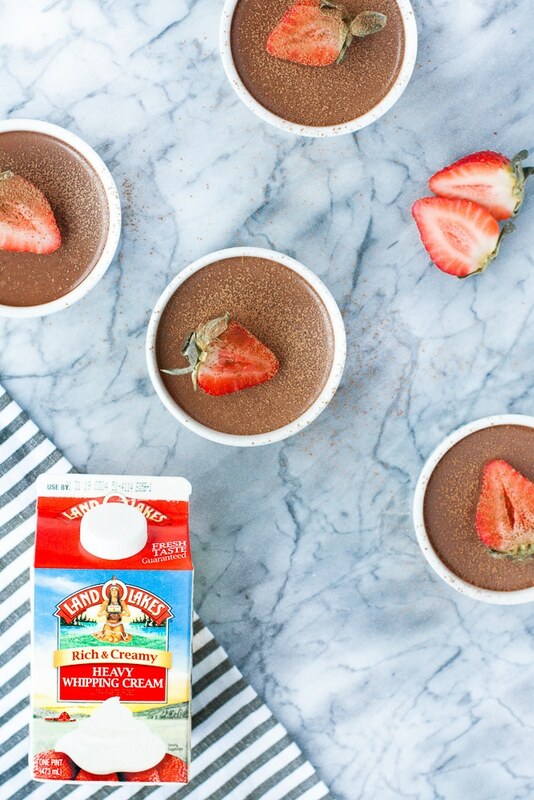 This keto sugar-free chocolate strawberry panna cotta is sure to become your new favorite low carb dessert recipe! 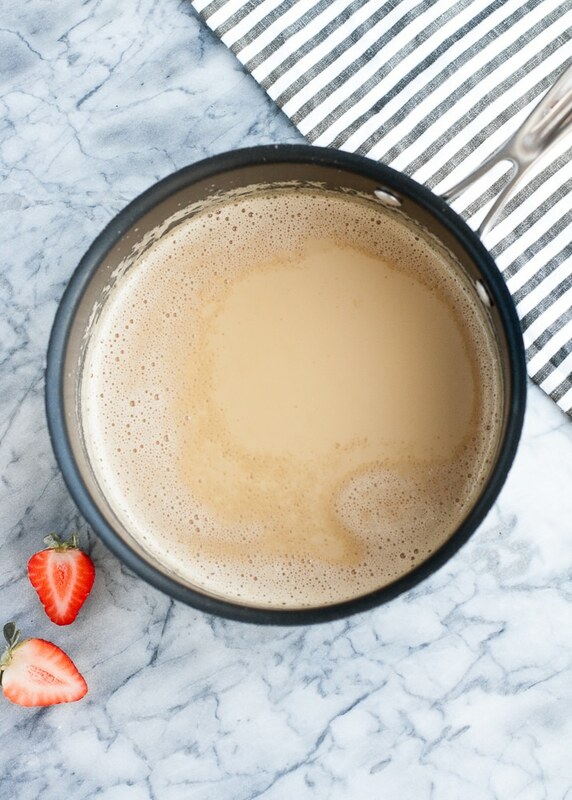 To a saucepan over medium heat, add heavy cream, monk fruit sweetener, gelatin powder, and espresso powder. Heat mixture, whisking frequently, until all ingredients are thoroughly combined and have dissolved, about 5-7 minutes. 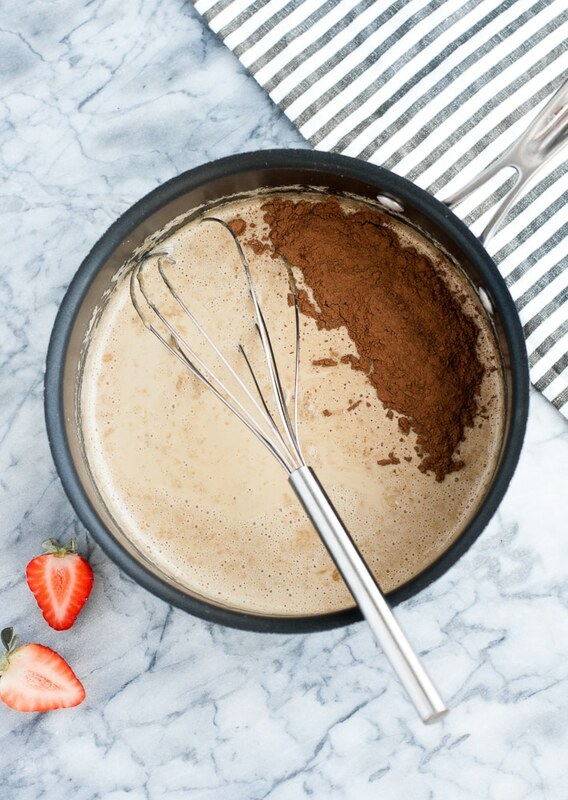 Reduce heat to medium-low, whisk in cocoa powder and strawberry extract and continue to heat mixture until all ingredients are well-combined, about an additional 2-3 minutes. Remove pan from heat and allow mixture to sit at room temperature to cool slightly for 10 minutes. Whisk mixture thoroughly before pouring mixture into ramekins. Transfer ramekins to refrigerator to chill for 4 hours. You had me at KETO and PANNA COTTA. Seriously, this recipe couldn’t have showed up at a better time! I ABSOLUTELY LOVE PANNA COTTA!!!!! I look forward to serving this to my family tonight. Mine probably won’t turn up as aesthetically appealing as yours, BUT I’ve followed you long enough to know that it’s going to be friggin’ delish! Hah! Hope you guys love it! It’s a household favorite dessert of ours. ? It’s now safe to assume that my family loves me for the food! LOL Looking forward to more recipe posts. 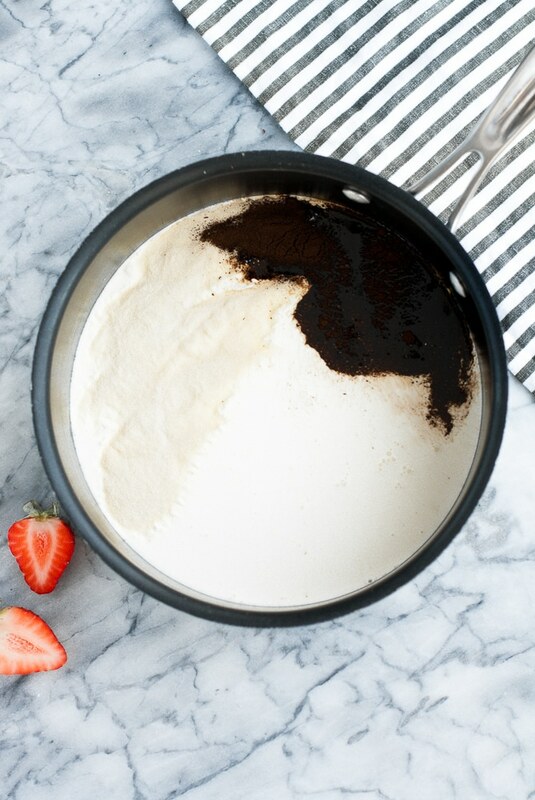 could i make this with vanilla instead of strawberry extract? Absolutely! I would decrease the amount of vanilla extract though; you should only need 1 tsp of vanilla extract. Enjoy! YUM. Just made this panna cotta and it was sooooo good! Yay! So glad you enjoyed, Shannon! Thank you so much for taking the time to leave a comment and recipe rating! Thanks, Angelica! It’s SO delicious!